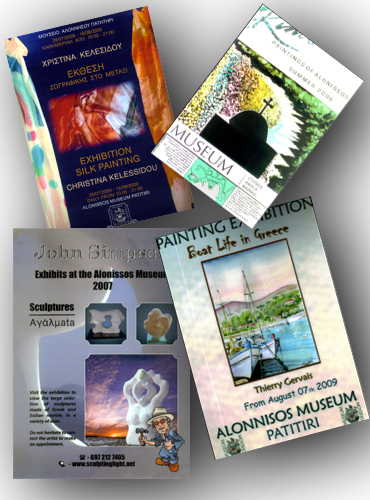 For the last couple of years the Alonisssos Museum featured each year an exhibition of works of a distinguished local and/or international visual artist. Although small in scale, the yearly exhibitions were favorably received. Since 2009 we improved the number of exhibitions, the diversity of the artists as well as the frequency of the shows. 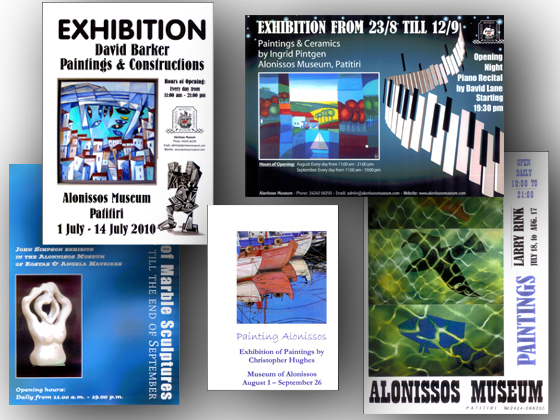 In the section "Exhibitions of the Past" you will find an overview of exhibitions of the last five years; in the section "AV-artists" we give a description of the artist and his/her work, particularly artists local to the Alonissos region.